Have you tried the Shaoxing Wine Instant Chicken Noodles? This is how it changes the whole world and brings new concepts of marketing. As someone relatively disinterested in popular or fashionable things and trends, only recently did I purchase something that a few years ago was so popular in Taiwan that it went out of stock: Shaoxing Wine Instant Chicken Noodles, a product of the Taiwan Tobacco and Liquor Corporation. Then one day not long ago, having gotten weary from too many days in a row of sharing big meals at gatherings, I just wanted to have a simple lazy time at home, and made myself some of those legendary Shaoxing wine instant chicken noodles. The noodles, seasoning oil, and powder sachets were as fine as other Taiwanese instant noodles, but the thing that hooks you the most is of course that little packet of Shaoxing wine seasoning. As soon as you tear open the packet, the wine’s aroma hits you in wave after wave. After you pour it into boiling water, the alcohol evaporates, leaving a bowl of piping hot Shaoxing chicken noodles aromatic with the essence of yellow rice wine, but without the slightest hint of bitterness. Most importantly, this remarkable bowl of Shaoxing wine chicken noodles picked up the Taiwan Tobacco and Liquor Corporation, which had never produced this type of product before, and carried it on a wave of “instant noodle economics,” reigniting the instant food market to create consumer demand. At the same time, this helped turn around the Tobacco and Liquor Corporation’s (founded as the Taiwan Tobacco and Liquor Monopoly Bureau) aging, bloated image in the public’s eyes, even appealing to many as quite creative for its updated “retro” style food products. That product line’s hot sales also went far in elevating the Tobacco and Liquor Company’s overall image and sales of its other products. However, the craze for instant noodles in Taiwan has not spread across the strait to China. For Taiwanese merchants who established an “instant noodle kingdom” in China, the newest competitor is far more formidable than just the Taiwan Tobacco and Liquor Corporation. 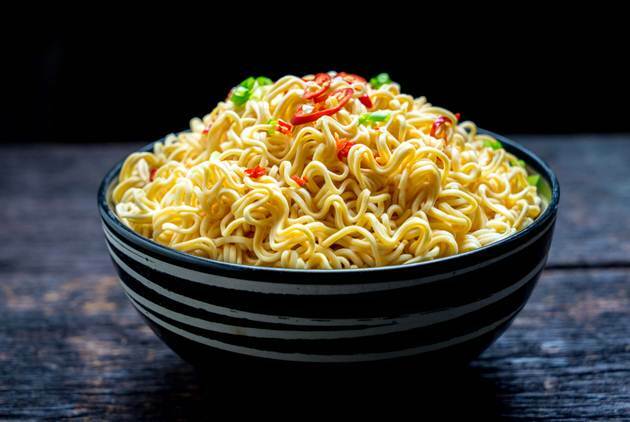 The same year that the Taiwan Tobacco and Liquor Corporation introduced Shaoxing wine chicken noodles, 2013, China’s instant noodle market began a precipitous decline. Since achieving stratospheric sales of 42.6 billion servings of instant noodles in 2013 between China and Hong Kong, the numbers have continued on a downward slide, to 38.5 billion packets in 2016, a 17 percent drop. This not only brought about a decline in overall sales of market leader Master Kang (a brand name of the Ding Xin International Trading Group), but the instant noodles segment’s contributions to the group’s revenues in 2017 saw a year-on-year drop of 10 percent compared to 2016. 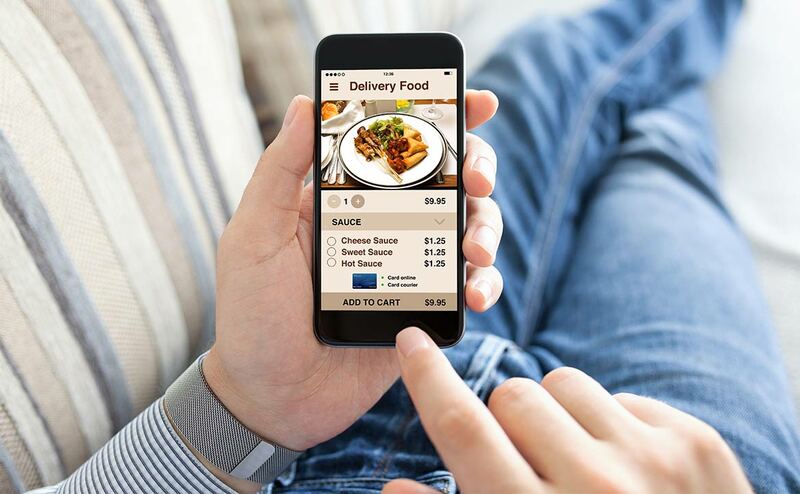 However, what stymied the instant noodle market and knocked Master Kang’s sales down several pegs was not any particular instant noodle or food manufacturer, but rather the ferocious rise of food delivery platforms in China. These emerging businesses founded upon the tools of the Internet and mobile communications, run on a totally different business and profit model from that of conventional food manufacturers. Yet they landed a direct hit on the instant noodle market’s original target audience: people with no time to make meals or unable to eat out. The maturity of mobile technology and the Internet have fueled a fourth industrial revolution, one that is turning industry upside-down. Never have businesses faced a time when competition did not come from “thoselike us,” but from emerging industries spearing an onslaught from everywhere at once. The phenomenal growth of these industries in recent years can be attributed to the Fourth Industrial Revolution brought about by the maturation of the Internet and mobile technology, as described by World Economic Forum founder and executive chairman Klaus Schwab. In his book by the same title, The Fourth Industrial Revolution, Schwab writes: “The word ‘revolution’ denotes abrupt and radical change,” and more important than the elevation of production methods in each industrial revolution is its incomparable impact on human society’s structure and lifestyles. The development and spread of today’s mobile Internet technology, accompanied by artificial intelligence (AI), deep learning, as well as the thriving development of sensors and new materials, places us on the threshold of the fourth industrial revolution. And this particular industrial revolution is set to descend upon us faster and with greater force than ever before. 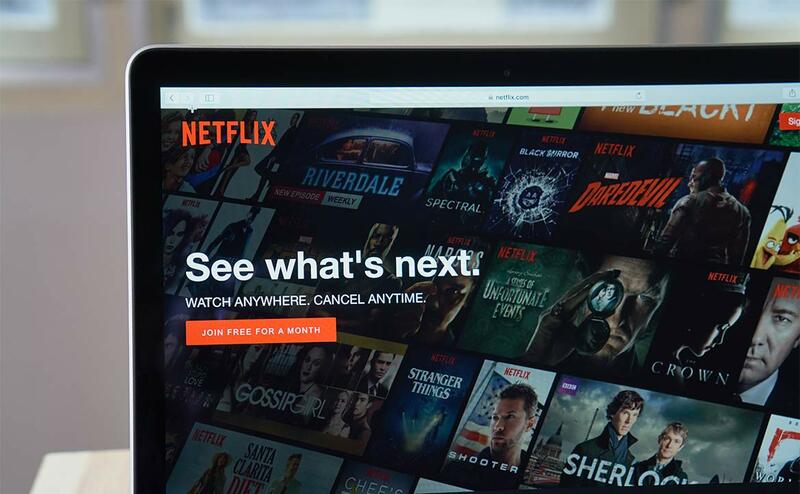 There have been countless examples in recent years, most notably the competition between ride hailing upstart Uber and the conventional taxi industry, as well as Blockbuster’s failure to invest in and ultimately acquire competitor Netflix. What Uber and Netflix have brought about goes beyond just the introduction of “new products” or more appealing brands within existing industry, but an entirely new operational model joining technology and innovation to usurp the entire (conventional) industry order. Going back to the instant noodles with which this article opened, I am sure that this type of product will not disappear as a result of the growth in meal delivery platforms. However, enterprises for which instant noodles comprise the main thread of their operations, such as Master Kang and Uni-President Enterprises, will inevitably have to adjust their market strategy in the face of this industrial revolution. Not only that, but they must give serious consideration to enterprise transformation. In the face of such disruptive emerging industries, the top conventional industries are hurriedly attempting to change their direction and operational model, and are even beginning to invest in new ventures involved in sectors that could expand on their operational advantages to ensure that they can keep moving ahead with the times. However, as the Fourth Industrial Revolution moves forward, the challenges of corporate transformation are not limited to large corporations or publicly traded companies: The small- and medium-sized enterprises that powered the “Taiwanese economic miracle” of the 1970s also face extraordinary pressure to transform. Changes in technology have not just engendered changes in end products or usage habits, but the impact continues to spiral out to such areas as the management of the entire supply chain and the demand for the supply of goods, forcing constant shakeups and realignments. In contrast to large corporations or publically listed companies, in addition to the application of technology and innovation, the challenges Taiwan’s small- and medium-sized enterprises face in transformation are often accompanied by the entanglements of family ties. These “second-generation” executives more often than not play roles as prime movers of transition in family businesses. Still, compared to the matter-of-fact businesslike approach of professional managers following the bottom line, family businesses must deal with communication problems, misunderstandings, and emotions resulting from sticky family ties in addition to grappling with the yoke of blood relations and trust issues over the course of handing over the reins and undergoing transformation. In Taiwan, where people are not known to be especially good at communicating their feelings, how can different generations put aside their differences to patiently and objectively explain their perspectives? How can they reject the other party’s proposals not out of opposition or lack of patience? And how can parents accept that their children are all grown up into adults, while children understand and appreciate their parents’ confusion and fear of the changes around them? These issues, compounding already complex corporate transitions, only create more variables and difficulties. Taiwan and Taiwanese business people alike have been calling for “transformation” for quite some time now. Yet exactly how or should big corporations, foreign companies, small- and medium-sized enterprises and family businesses go about it? In the following series of articles I met with numerous key figures and executives overseeing company transformation. And together, I hope we can find some answers.